In Legienstrasse 169, this apartment was newly built in the back of the property and completed in November 2017. Due to its location in the rear area, it is quiet there. This new apartment is very centrally located and is characterized by its upscale amenities and a private entrance. Parking is available in the Legienstrasse and the side street 20 meters away. The underground station Legienstrasse is only 400 meters away. Shopping facilities are available within walking distance Mansteinstrasse shopping center. Also within walking distance is a greengrocer 200 meters away and an Aldi market 400 meters away. 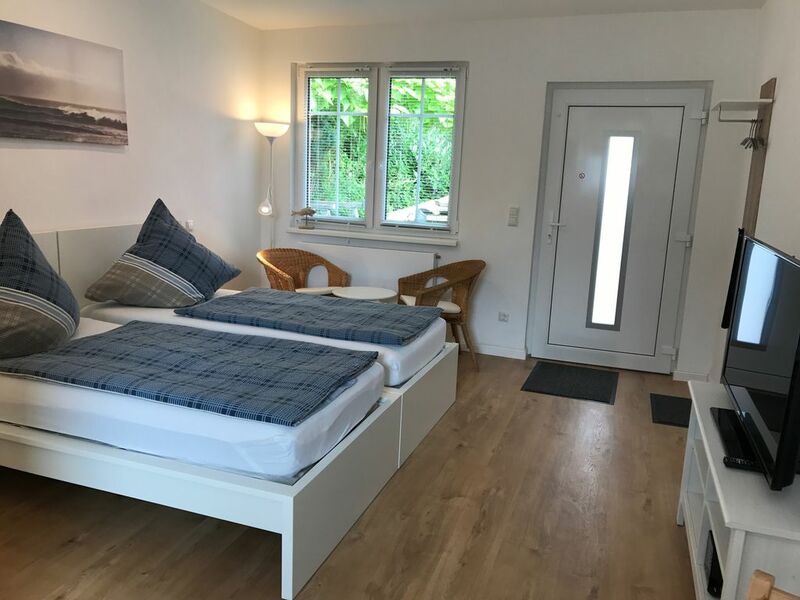 In the apartment you will find two single beds that can be put together, a high quality granite shower room, a fitted kitchen and a dining area for 2 persons. Of course, TV, stereo and free Wi-Fi are available. Klein aber war alles O.K. Alles war so wie erwartet. Haben uns wohlgefühlt für eine Städtereise jederzeit wieder. Alles da, was man braucht, wir hatten die Räder dabei - 20 Minuten bis in die Innenstadt, alles perfekt. Wirkt nicht gerade einladend,Baustelle direkt vor der Tür. Baustelle und Müll direkt vor der Tür.Fernseher reicht noch nicht mal für die abendlichen Nachrichten.Wlan funktioniert nur manchmal,meistens gar nicht.Wohnung soweit in Ordnung,nur bei diesen sommerlichen Temperaturen sollte wenigstens ein Ventilator vor Ort sein.